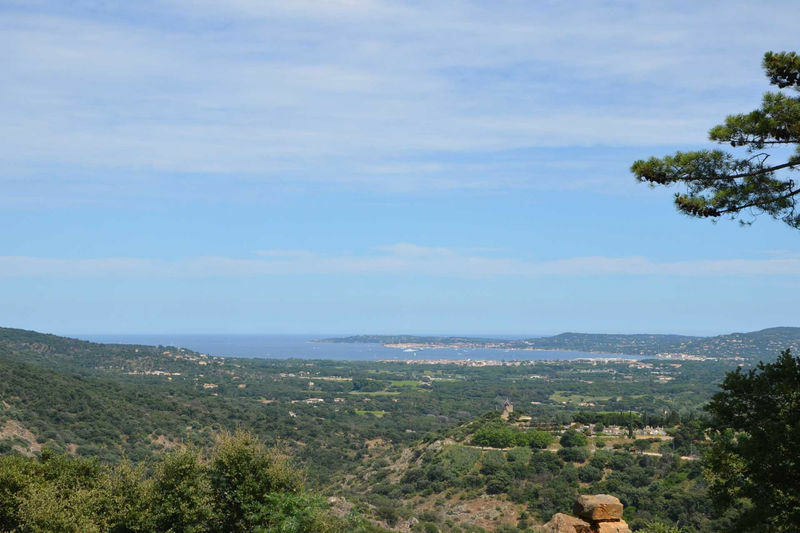 GRIMAUD: Beauvallon-Bartole. 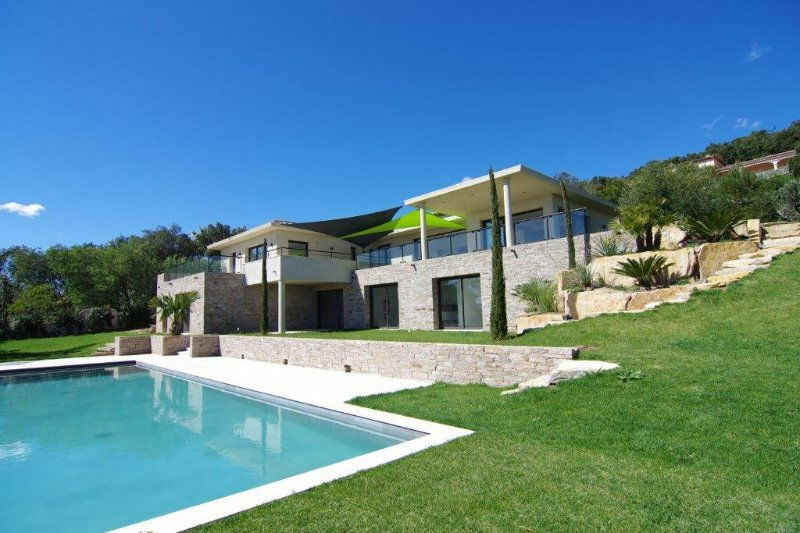 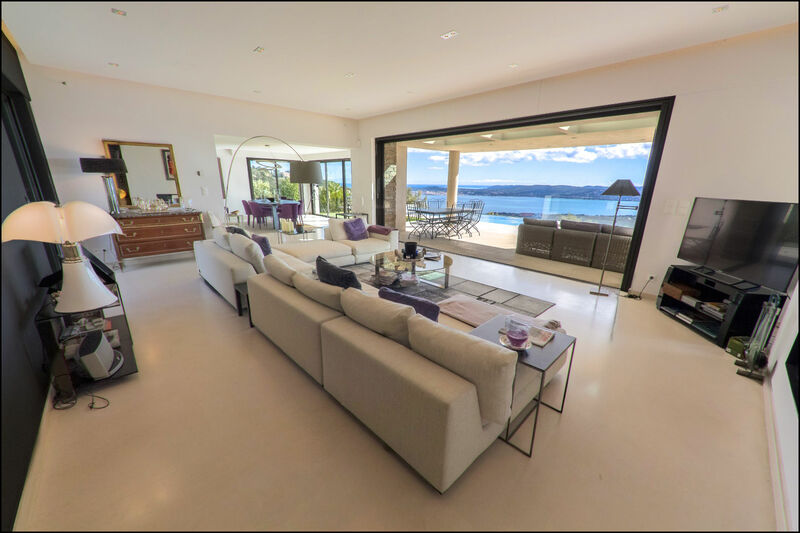 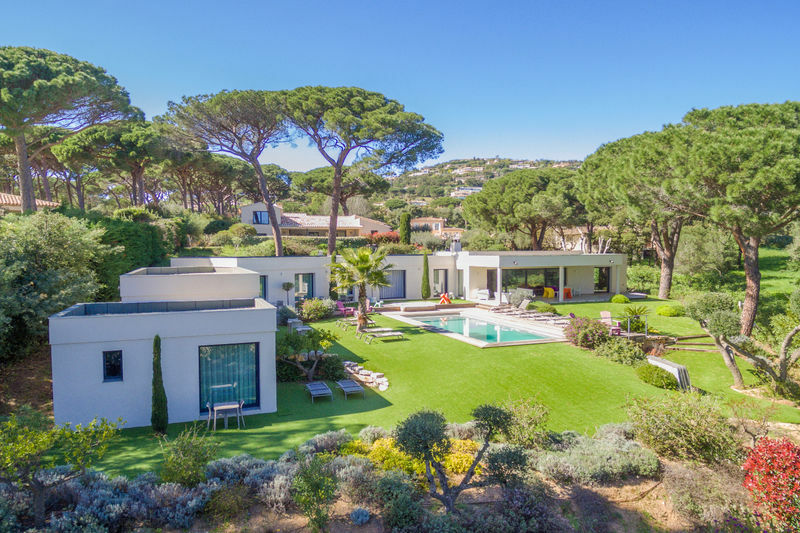 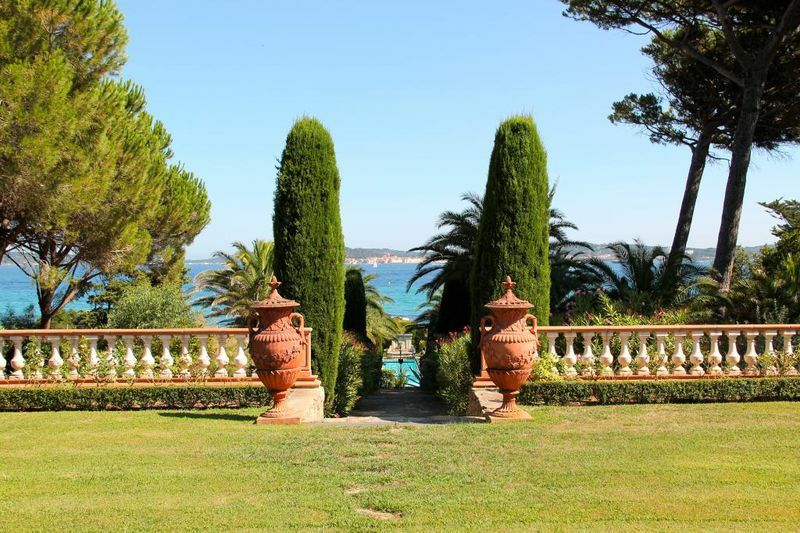 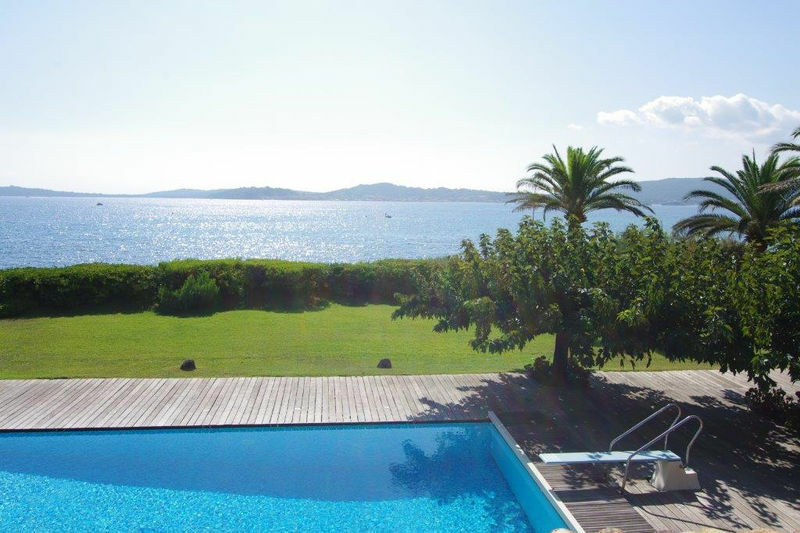 Panoramic sea view for this prestigious contemporary-style villa of 350 m2, on a plot of 3000 m2, in a secured domain. 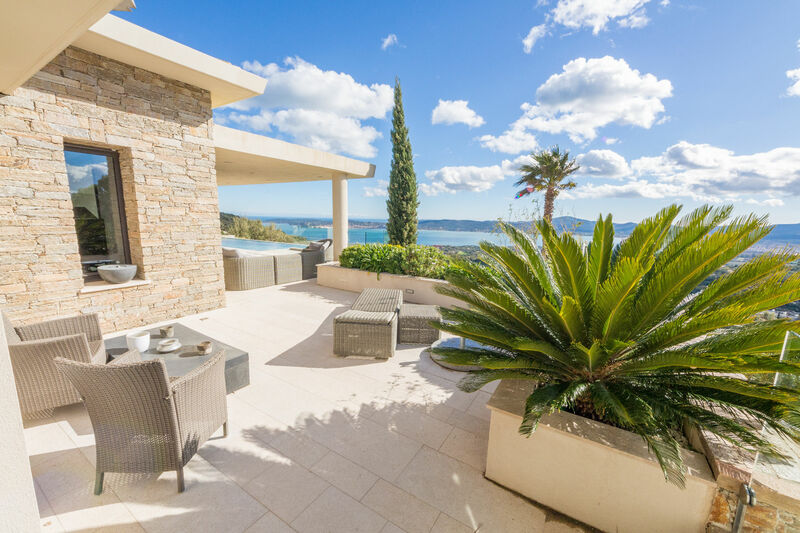 Exceptional geographic situation & views! 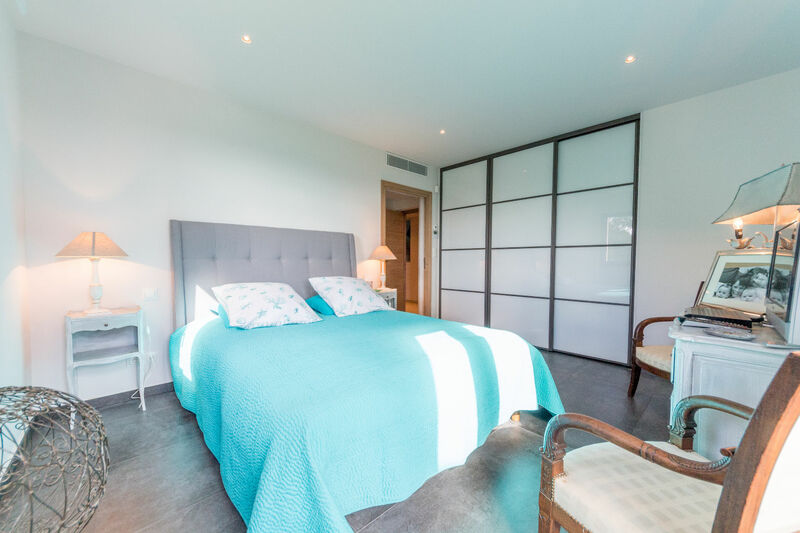 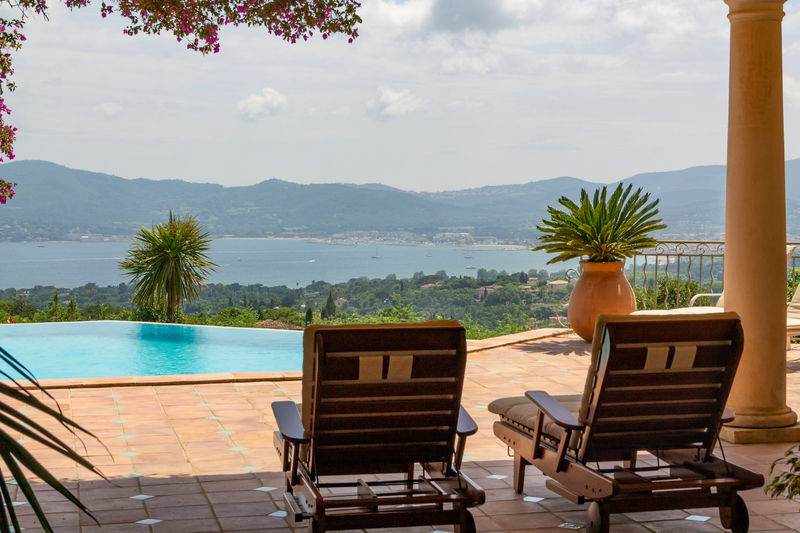 On the ground level, the villa invites you into a large entrance with dressing and guest toilets; a double living room with big sliding windows, opening onto a covered terrace and leading to the heated infinity pool. 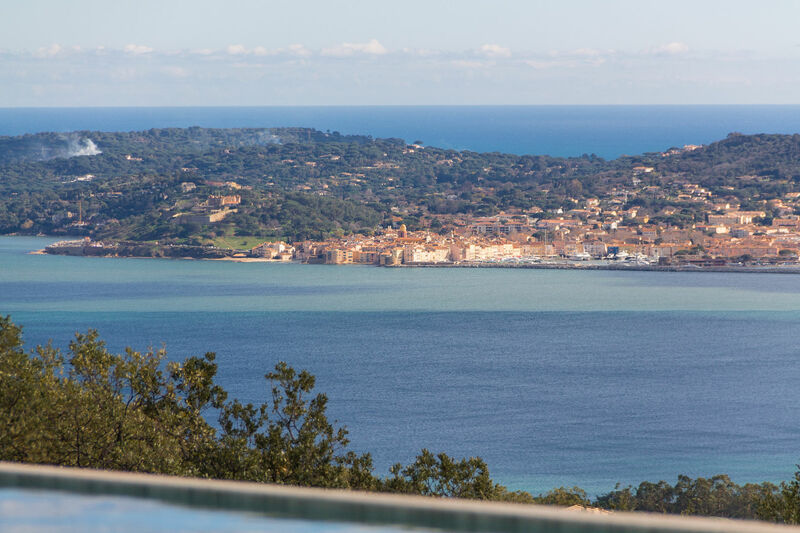 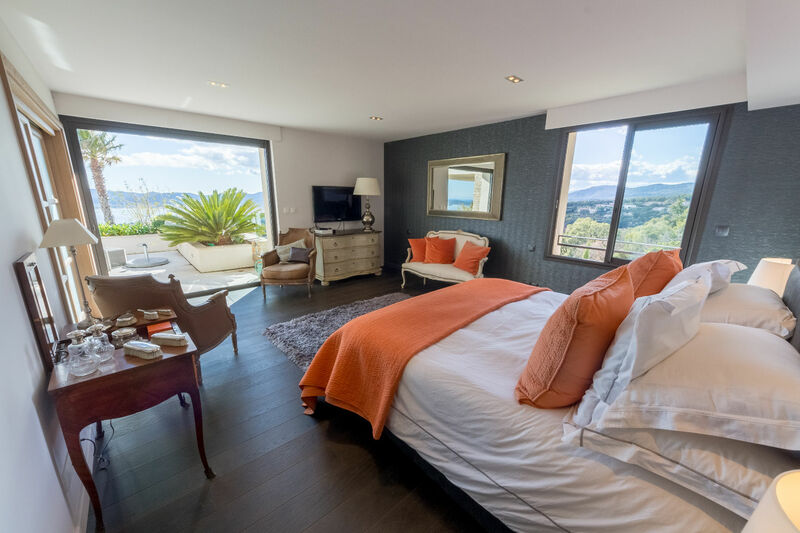 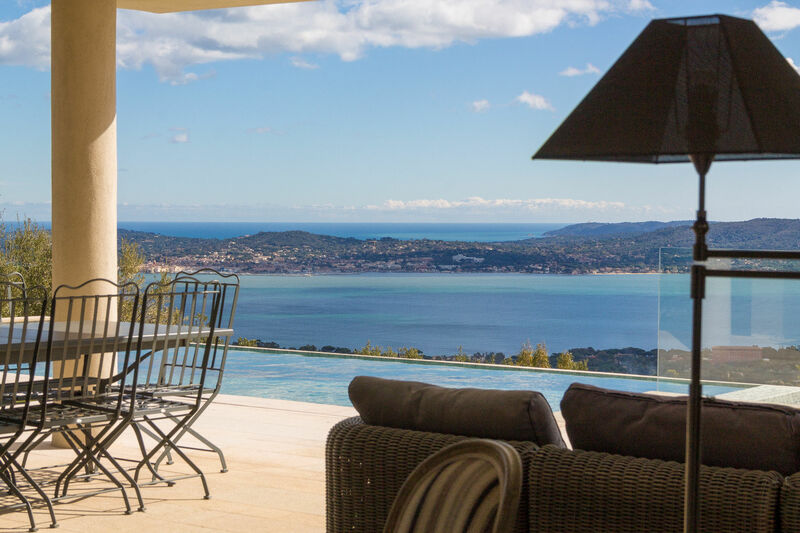 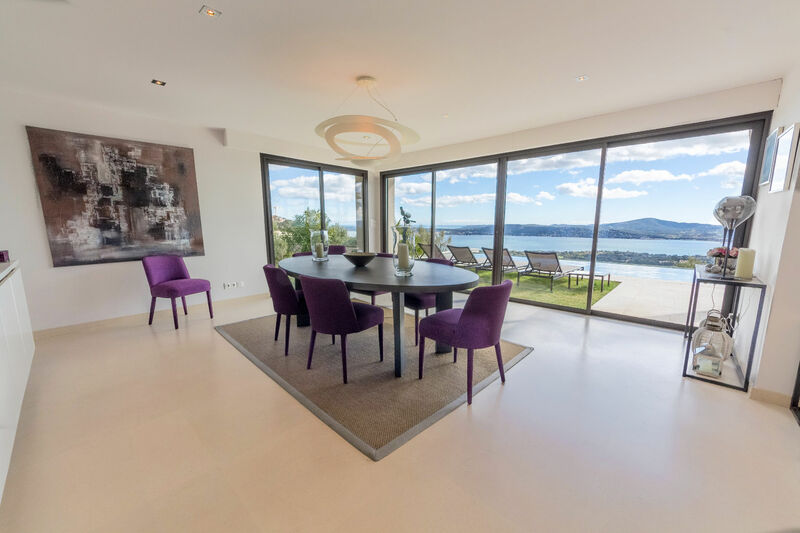 All rooms enjoy this stunning view on the Golf of Saint-Tropez! 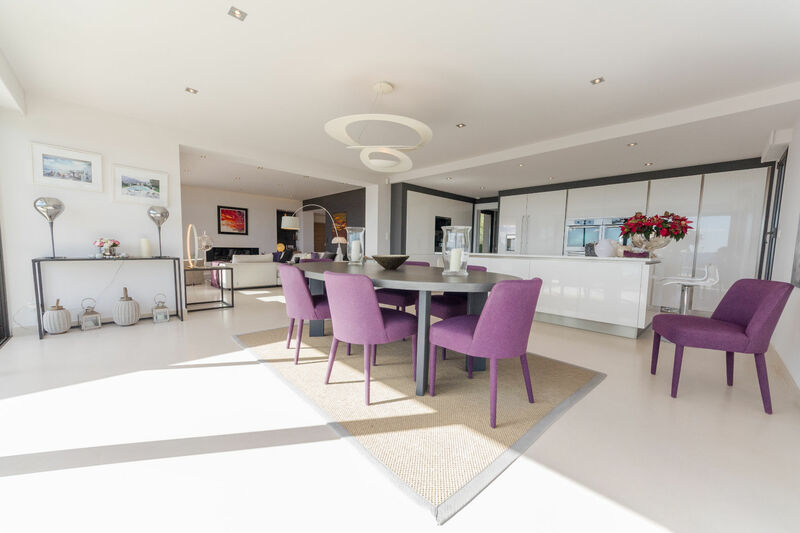 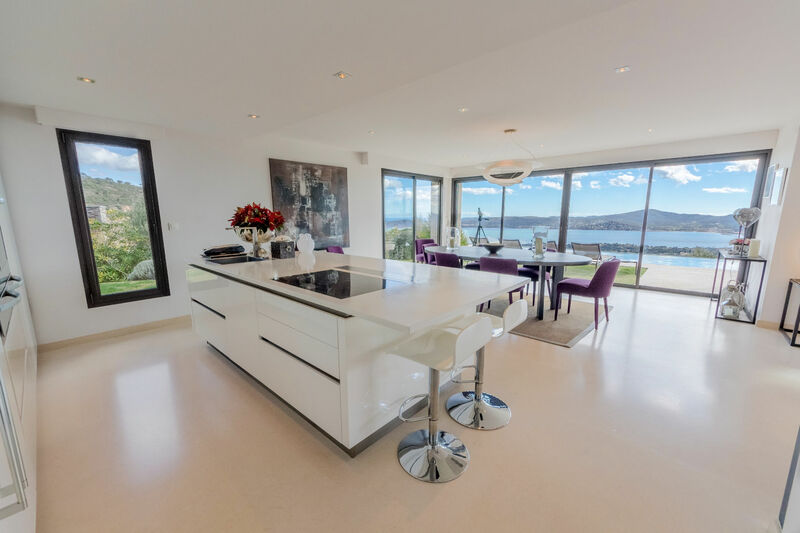 An american-style kitchen with side-kitchen; office, 3 en-suite bedrooms, each with bathroom and dressing. 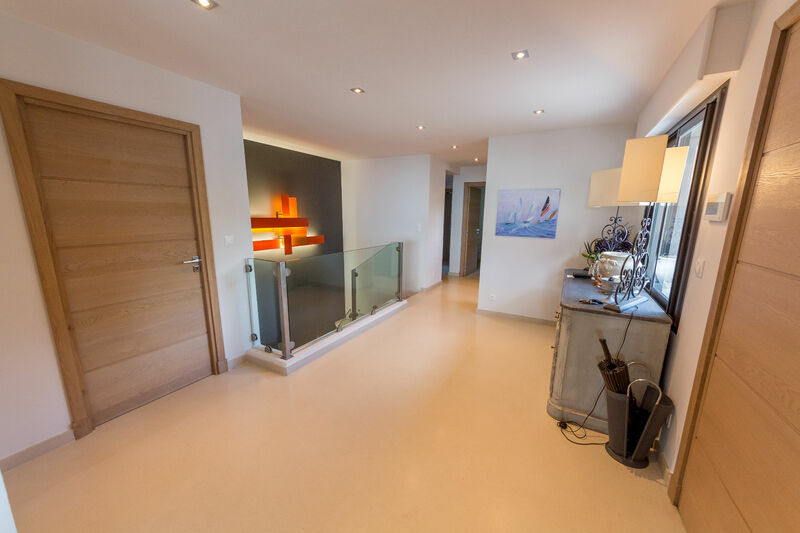 At the garden level, one finds: 3 bedrooms , 2 bathrooms, a laundry room, double garage. 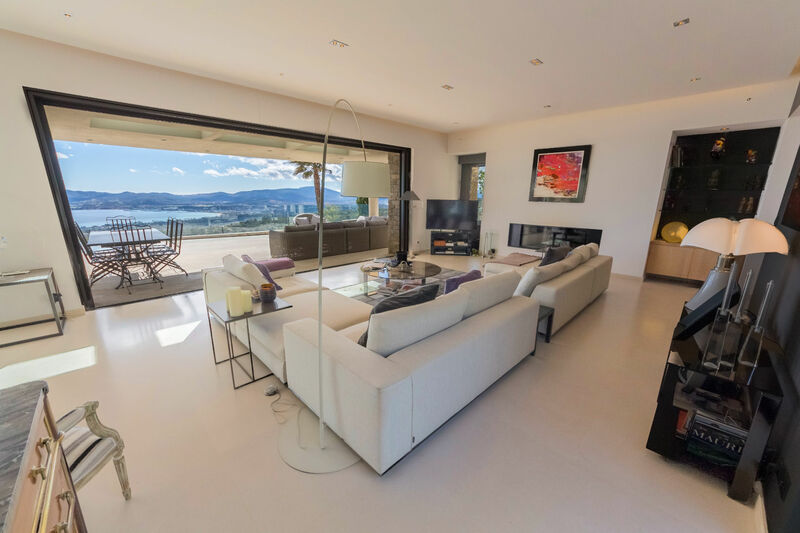 High end quiality materials and features!